People who suffer from celiac disease must eat a strict, gluten-free diet but a new treatment currently being tested could, if clinical trials work and it's approved, change that. 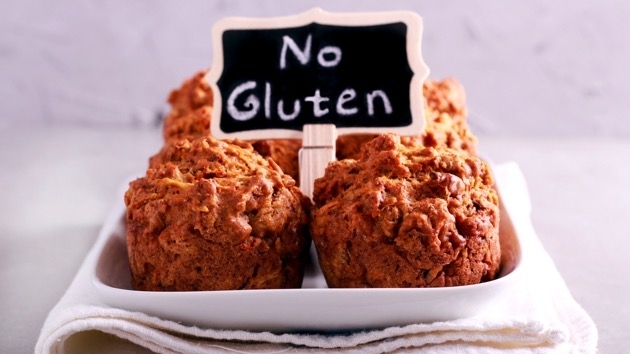 (NEW YORK) — People who suffer from celiac disease must eat a strict, gluten-free diet but a new treatment currently being tested could, if clinical trials work and it’s approved, change that. The treatment, called Nexvax2, could change people’s immune response to gluten so that it no longer triggers a damaging, inflammatory reaction in the body. Celiac disease is an autoimmune disorder that damages the small intestine when gluten is ingested. Nexvax2 hopes to help people with specific immune recognition genes that make up around 90 percent of the celiac patient population, according to ImmusanT, Inc., the Massachusetts company behind the vaccine. Nexvax2 is currently being tested in a phase 2 clinical trial in Australia that includes patients from the United States. A phase 2 clinical trial typically lasts around two years. Nexvax2 would then have the be tested in a phase 3 clinical trial that needs to demonstrate that the treatment is at least as safe and effective as existing treatment options. If it is successful in the phase 3 trial, then it would have to apply for FDA approval to become available to consumers in the U.S. The cost of the treatment is unknown. If it is approved, Nexvax2 could give hope to the nearly 1 percent of Americans who have celiac disease and currently have no treatment option other than following a strict gluten-free diet. Here are five questions about celiac disease answered by Dr. Johanna Kreafle, an emergency medicine physician at the Carolinas Medical Center in Charlotte, North Carolina, and a member of the ABC News Medical Unit. 1. What is celiac disease? Celiac disease is a hereditary autoimmune disease that causes the body to mount an immune response against gluten, which is a combination of proteins found in wheat, barley and rye. This response causes damage to the small intestine and when this happens, nutrients cannot be adsorbed properly into the body. 2. Do all people with “gluten intolerance” have celiac disease? No. Some people have non-celiac wheat sensitivity, which has similar symptoms to celiac disease but they do not test positive for celiac disease. And it is not confirmed that gluten is the culprit triggering the immune reaction in these people — it may be another protein or antigen. 3. What are the symptoms of celiac disease? There are many symptoms but the most common are abdominal pain, bloating, diarrhea, constipation, headaches, bone or joint pain and chronic fatigue. 4. How are people diagnosed with celiac disease? Two steps: screening and diagnosis. You should always consult a physician to ensure proper diagnosis. Screening: Blood tests to screen for celiac disease antibodies. If the blood tests suggest celiac disease, your physician will recommend a biopsy of your small intestine to confirm the diagnosis. Diagnosis: Biopsy of your small intestine during an endoscopy looks for damage to your small intestine consistent with celiac disease. 5. What treatments are available for celiac disease? Currently, the only treatment available for celiac disease is lifelong adherence to a strict gluten-free diet. This means avoiding foods with wheat, barley and rye.